This month’s edition of The Food-e is all about 'Best of British'! 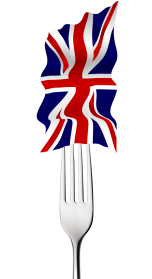 Indicators suggest that Brexit will prompt a boost in local, British ingredients & influences and is set to be a key trend in 2017. e-foods has been supporting local and British suppliers since 2004! • Welsh Lavabread - did you know it's not actually bread? We didn't! • Product of the month - Our national dish... ...Curry! • This month's Superfood - Cauliflower (without the cheese sauce)! Read the January Food-E newsletter here.